You have found the absolute best way to check math computation. *Somewhere on this page there are clues given to find a secret password. That password will gain you entrance to one of our TREASURE ROOMS. Buried deep within the pages of a very old book*, one of the members of themathlab.com's research team found an AMAZING thing. It's a method for checking math computation that is so easy, so elegant, that it evoked a VIOLENT emotional response within her. Yes, we said VIOLENT. In plain truth, she ran screaming wildly down the hall ENRAGED that she had not been taught this little gem in all her years of school! She hadn't even learned it in her six years of college majoring in mathematics. She screamed at all of us,"This is UNBELIEVABLY CRIMINAL! How can I have made it through all those years of school and NEVER have been shown this? I've wasted MILLIONS of minutes of my life checking math problems by hand or with a calculator, when I could have done this in SECONDS!" She was so furious that it took her a while to calm down enough to show us this monstrously wonderful trick. Once she showed us, we were EQUALLY ENRAGED. We at themathlab.com feel it our moral duty to share with you what she found, as it may save you from wasting the MILLIONS of minutes that we have wasted. It turns out that every whole number or decimal, no matter how long it is, can be condensed down into a SINGLE digit! Yes, we know this sounds outrageous, but keep listening, it gets even better. The single digit is called the number's DIGIT SUM. To get it you simply add up all of the digits in the given number. If this sum is larger than one digit, you add its digits together too. You keep doing this until the result is a SINGLE digit. Take 34 for example. 3 + 4 = 7, so the digit sun of 34 is 7. Take a peek at 98. Now 9 + 8 =17. This needs condensed further so we add the 1 + 7 and get 8. So the digit sum of 98 is 8. Take 3,452. 3 + 4 + 5 + 2 = 14, and 1 + 4 =5. So the digit sum of 3,452 is 5. BUT WAIT! Sometime during the development of this condensation trick, someone, bless their soul, found out that adding 9, or any combination of digits which add to nine, does not influence a digit sum. Ex: The digit sum of 34 is 7. Now let's add the digit 9 to make 43. Its digit sum is 4+3=7, so we have another digit sum of 7. Adding that 9 did not change the digit sum. Now let's add several combinations of numbers which add to nine and some more nines to the 34: 34+2+7+4+5+9+9=70. Notice the new digit sum is STILL 7. Quite frankly, they found that you can add as many nines or, combinations of numbers that add to nine, as you want, and it wont change the digit sum. Take a look at 543,994. Here we get 5+4+3+9+9+4=34. And then 3+4=7. Again we arrive at a digit sum of 7. Well if nines don't change a digit sum, then by golly, let's just assign a value of ZERO to them and forget about them, or shall we say CAST THEM OUT of the digit sum completely! It becomes lightning FAST to find the digit sums of most numbers once you are good at CASTING OUT THOSE NINES. HERE you try a few. Remember, any nine or combination of numbers which add to nine, can be cast out or thought of as ZERO. Click the ? to see if you have the correct digit sum. *This only works in Internet Explorer. Whenever you add up a column of figures to get a correct sum, you will find that the digit sums will form a correct addition too! This allows you to condense even the most horrible numbers into little, baby, single digits and then work with the little, baby, digits to see if your calculations are correct. Just look how easy the check to this horrid problem becomes. Remembering that all nines go to ZERO, the addends transform into 2 + 8 + 8 = 18; which becomes 1+8=9 which we say is ZERO. The answer 126,414 also has a digit sum of ZERO, so your problem is correct! "The method of casting out nines is a quicker way of checking addition than by actually repeating the calculation. The longer and more complicated the addition, the more time is saved. Furthermore, many people find it entertaining to hunt down the 9's and watch the digit sums add up correctly and, after learning the method, check their addition for the FUN OF IT." Now this quote might seem a bit unrealistic; imagine, people checking their math by casting out nines for FUN! We at themathlab.com must agree with the author however. This method IS SOOOO EASY that it becomes tremendously fun to see your work verified by doing this. This method has saved us LOTS of time in the few years that we have been using it. We HIGHLY recommend its use. Now if this only worked for addition of whole numbers it would not be extremely useful, but since subtraction, multiplication, and division are all related to addition, casting out nines can be used to check the other operations too. You need to add when checking subtraction! Remember that subtraction is nothing more than addition in REVERSE. So to check subtraction, we take the digit sum of the answer,(difference), and add it to the digit sum of the number we subtracted, (subtrahend). If the digit sum of this sum is equal to the digit sum of the original number, (augend), then the subtraction problem is correct. You need to multiply when checking division! Yes, multiply the digit sum of the quotient, (answer you get), times the digit sum of the divisor, (number you divided by). This should give you the digit sum of the dividend (the number you are dividing up). (You might try to check this division by finding each digit sum and then dividing. If you do this you will run into a bit of a snag. See the digit sum of 525 is 3, and the digit sum of 15 is 6, and the digit sum of the answer is 8. Now 3/6 does not equal eight. This may make you think that the method is faulty, but it is not. To check any division using the casting out of nines method just remember that division is by definition the REVERSE of multiplying. In fact we can check division problems by multiplying the answer we get (quotient) times the number we divided by (divisor). If this equals the number we started with (dividend) then your division computation is correct! You can check division with digit sums by multiplying like this. So to check the above example, 525/15=35, get the digit sums of the answer and the divisor, which are 8 and 6, multiply them, take the digit sum of this product and see if it matches the digit sum of the original number 525 = 3. You check these two. Click the question marks to see if you are correct. Check: 493 / 17 = 29 ...? Check: 184,380 / 35 = 5,266 ...? *If the division involves a remainder, as many do, you will need to subtract the remainder from the ORIGINAL,(dividend), number first, and then check the digit sum multiplication as you did above. *HERE is an important note sent to us by one of our readers. Hopefully you are now ready to find some TREASURE. Below are boxes with 15 arithmetic problems. Each problem has a letter in a box beside it. Check each problem in order from top to bottom. When you find one that is CORRECT write down its letter. If you find all the correct problems in order from top to bottom, you will have the password to the treasure page. It has some cool FREE gifts for you. *remember to MULTIPLY your digit sums on this one. *Remember to MULTIPLY to check division. *Remember to add to check subtraction. 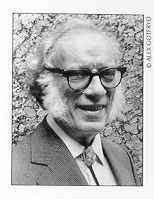 Isaac Asimov wrote *Quick and Easy Math as well as hundreds of other wonderful books. Check his work out, you'll be glad you did. Enjoy the music of Carlos Santana. Listen to samples of his Supernatural CD. Usually ships in 24 hours.